During this Ramadhan do not let the sweetness of our deeds vansh into the night, leaving only emptiness. When one contemplates the texts on fasting, its wisdom and goals in Shariah, and looks at the reality of the Muslim communities, one realizes a wide gap between the reality and our obligations. Remember that Ramadhan is a bounty that Allah blessed His servants with, to strengthen their faith, and increase their piety (Taqwa). Allah said: "O you who believe! Fasting is prescribed for you as it was prescribed for those before you, that you may become pious." (Al-Baqarah 2:183). This article is an attempt to present the essential causes of this gap, and to some remedies. primary reason for the gap is ignorance about the goals of fasting and the wisdom behind it. Many Muslims ignore the purpose and wisdom of fasting. Fasting is done merely to conform to the social environmet without contemplation. If one is not aware of the divine wisdom of Shariah and its fruits in this world and in the hereafter, one will not apply it in the right way. Achieving Taqwa: is one of the most important wisdom of fasting. Fasting brings on Taqwa as it lessens the desire of the stomach and mutes the sexual appetite. Whoever fasts frequently would overcome these two desires more easily. This deter against committing abominations and sins and assist in controlling life leading to Taqwa. Fasting is pure worship: The fact that he is abstaining from food and drink both in public and in secret shows his honest faith and strong love of Allah, and his knowledge and feeling that Allah is all-knowing of everything. For this reason Allah has made the reward for fasting greater than for any other type of worship. Allah said in the hadith Qudsi: "Every deed of the son of Adam will be multiplied [in rewards], the good deed by ten of its like, up to seven hundreds, up to whatever Allah wills, except fasting, it is for Me and I will reward it. He abandons his desire and his food for My sake.." (Related by Muslim) lbn al-Qayyim said: "...And people may see that a person is not eating in front of them, but the fact that he is really abandoning his food and his desire for the sake of God is a thing that nobody can find out about, and that is the essence of fasting." (Zaad al-Ma'ad 2/29). Relieving Muslims from life's distractions: Eating, drinking, and socializing all distract a person and weaken ties with Allah. It is by the Mercy of Allah that Muslims are ordered to fast so as not to be bothered by the intrusion of these activities. Nor by the thought about them nor the anticipation for them when devoting themselves to the all types of worship Either reading the Qur'an, offering additional prayer or making I'tikaf. For this reason the Prophet sallallahu alayhe wa sallam said: "Fasting is a shield, and a secure fortress against Hell fire" (Related by Ahmad). 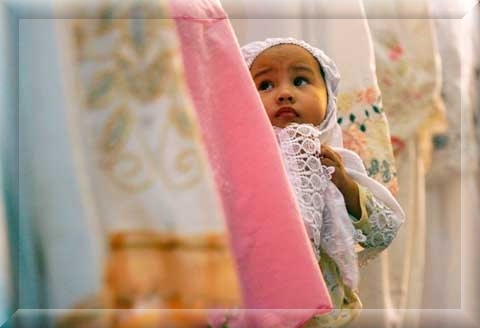 Discovering Allah's Blessings: A person experiences the hardship of the poor. He should then be thankful to Allah Who has blessed him with His bounty while others are deprived. This should make him more sympathetic and willing to share this bounty. The poor rediscovers that fasting helps a person be more devoted to worship. More able to concentrate and meditate. He should then be able of this devotion all year long, a blessing he should thank Allah for. Acquiring strength and endurance:It has been discovered that depriving the body of food for a period of time helps its defense and endurance mechanism. This in turn this protects the body from certain diseases. Qiyamul-layl: The Prophet sallallahu alayhe wa sallam said: "Whoever performed the night prayer during Ramadhan out of belief and anticipating God's rewards, will be forgiven his previous sins. "(Related by Muslim).Performing Umrah: The Prophet sallallahu alayhe wa sallam said: "An Umrah during Ramadhan is like a Hajj with me." (Related by al-Hakim). Offering Iftar (meal) to those who fasted. The Prophet sallallahu alayhe wa sallam said: "Whoever feeds a fasting person has the same reward as him, except that the reward of the fasting person will not be diminished." (Related by Ahmad). Reading and completing the Qur'an: The Prophet sallallahu alayhe wa sallam said: "Fasting and [reading] Qur'an will intercede for the person: fasting will say: O Lord I forbade him eating and drinking so let me intercede for him, and the Qur'an will say: I deprived him from his night sleep so let me intercede for him," he then said: "So they will intercede." (Related by Ahmad). The Prophet sallallahu alayhe wa sallam used to recite the whole Qur'an to Angel Jibreel each Ramadhan. Giving in charity: Ibn Abbas radhiallahu anhu said: "The Prophet sallallahu alayhe wa sallam was the most generous among people, and he was more generous during the month of Ramadhan." (Related by Muslim). I`tikaaf: which is to confine oneself in the masjid for prayer and invocation leaving the worldly activities. Ibn Abbas radhiallahu anhu said: "The Prophet sallallahu alayhe wa sallam used to perforrn I'tikaf during the last ten days of Ramadhan." (Related by Muslim). It is surprising that many people have abandoned I'tikaf though the Prophet sallallahu alayhe wa sallam never abandoned it from the time he arrived to Madinah until he died. Supplication: In the verses dealing with fasting, Allah said: "And when My slaves ask you (O Muhammad) concerning Me, then answer them, I am indeed near to them. I respond to the invocations of the supplicant when he calls on Me." (Al-Baqarah 2: 186). This is an encouragement for the fasting person to increase his invocation. The Prophet sallallahu alayhe wa sallam said: "Three invocations will be answered: The invocation of the fasting person, the invocation of the oppressed, and the invocation of the traveler." (Related by Muslim). Repentance: Ramadhan is the time of repentance and return to Allah, for it is a time when the devils are chained, and when many people are saved from hell fire every night by the grace of Allah. Applying oneself in all good deeds in the last ten days of Ramadhan: Aysha radhiallabu anha said: "When the last ten days come, he sallallahu alayhe wa sallam would pray most of the night and wake his family, and apply himself, and tighten up his loincloth. ", and she also said: "The Messenger of Allah sallallahu alayhe wa sallam used to strive in the last days of Ramadhan more than he did during the other days." (Related by Muslim). Abstaining from vain talk: Sins decrease the reward of fasting although they do not annul it. The Prophet sallallahu alayhe wa sallam said: "Fasting is not [only] abstaining from eating and drinking, but abstaining from vain and obscene talk, so if someone insulted you or wronged you say: I am fasting." (Related by al-Hakim) and he also said: 'Whoever does not abandon lying, then Allah does not need him to abandon his food and drink." (Related by al-Bukhari). Excessive spending: Ramadhan should be a time to avoid being wasteful, and learning to be prepared in facing harder times by distinguishing the needs from the luxuries. Unfortunately, many people go beyond their limits to spend during Ramadhan. Whether in the varieties of food that they savor each night, or by the other types of spending. Spending more time in socializing: Because people invite each other more often during Ramadhan they do tend to spend more time socializing with friends, and relatives. While it is a good deed to feed the fasting person, this should not result in precious time lost in vain talk. Use the occasion for remembering Allah and offering additional prayers, and for the Da'wah to Allah. Insisting on performing a certain number of Rakaas during the Tarawih (night) prayer to the point of not praying behind the Imam and thus forfeiting the benefit of congregational prayer. This might also bring hatred and disagreement between the Muslims of one community. Reading Qur'an too fast: Some insist on finishing the whole Qur'an once or more, even if they have to read very fast. Although reading the Qur'an many times is desirable, this should not be done hastily, especially during the Tarawih prayer without pondering upon its meaning. Allah ta'ala said: "This is a Book which We have sent down to you, full of blessings that they may ponder over its verses," (Saad 38:29), and the Prophet sallallahu alayhe wa sallam said: "Those who read the Qur'an in less than three days do not grasp [its meaning]"
Socializing in l'tikaf: Many people are eager to do I'tikaf but some confine themselves in the masjid not to pray and worship Allah but to talk and socialize. The ways of doing good are numerous in Ramadhan Many people try to perform more than they are able to. By going beyond their capabilities, they end up not performing any deed in the desired way. Scholars and Dai'ahs should assume a more prominent role in educating the people - both by talking to them and by giving the best example in their behavior which should comply to the Shariah and following the Sunnah. The Muslim should realize that his priorities dictate that he does what benefits him in the Hereafter and should not put worldly interests first. The Muslim should apply himself to deepen his sense of following the Sunnah of the Prophet sallallahu alayhe wa sallam, in every aspect of his life, at all times and especially during the month of Ramadhan. This necessitates seeking more knowledge about the Fiqh of fasting and its etiquette, assimilating the wisdom and goals of fasting, and facilitating the means that allow all the Muslims to benefit from their fasting.